Ideal for applying over wide areas of affected skin, such as the back or chest. Fast absorption into skin. If you're not happy we'll give you your money back! Antiac by Salcura has been specially formulated for those who are prone to spots, acne, blackheads, whiteheads and pimples. Antiac Activ Liquid Spray is a simple to use intensive skin therapy spray which is highly anti-bacterial whilst still gentle on skin. The thing we love most about the Salcura range is their products contain no chemicals yet still carry a 97% effectiveness rate. They have a unique, easy to apply liquid spray application and their gentle formulas mean you can apply as much as you like with no restriction on usage. As with all Salcura products, Antiac is free from paraffin, alcohol, parabens, lanolin and all other harmful ingredients. Salcura Antiac Activ Liquid Spray acne treatment has been specially developed like no other acne remedy to help the skin to reduce and eliminate impurities and blemishes and by aiding oxygenation, adds nourishment to skin. 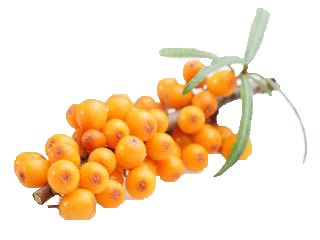 The natural acne treatment ingredients include Sea Buckthorn, Eucalyptus, Manuka and Sandalwood, which have been chosen for their highly anti-bacterial and anti-inflammatory properties. They are blended to promote circulation and balance out pH levels to soothe, cool and calm aggravated and inflamed skin. Salcura Antiac Activ Liquid Spray is so easy to use; simply spray onto your hands or cotton wool and rub it into the affected area and feel it quickly absorb to work deep within the pores of your skin. Then simply massage another layer of Antiac into the skin to benefit from the cool, soothing sensation to relax skin and ease inflammation. Use Salcura Antiac Activ Liquid Spray morning and night to leave your skin feeling clean and fresh, and you’ll be boasting a clear complexion in no time.